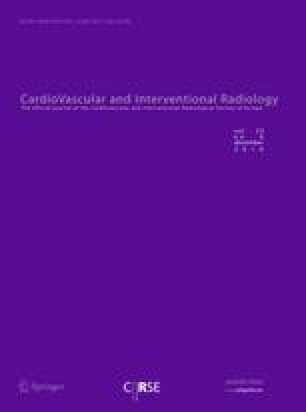 The purpose of this study was to evaluate the safety and efficacy of debris-capture for distal protection using the FilterWire EZ Embolic Protection System (Boston Scientific, Mountain View, CA) with the additional aim to further define the incidence of distal embolization during superficial femoral artery (SFA) interventions. A prospective, single-centre registry was designed to evaluate the performance of the FilterWire EZ in capturing debris during standard SFA percutaneous intervention. The PRO-RATA study included 30 patients suitable for PTA (Fontaine IIb to III or Rutherford I to II classification). The primary end points were occurrence of distal embolization or decreased runoff, improvement in ankle–brachial index ankle–brachial index (ABI) after the procedure, and number of filters containing emboli. Secondary end points included major adverse events (i.e., procedure- or device-related death and/or clinical target lesion revascularisation), device delivery, deployment success, and incidence of embolic recovery (patients with device success exhibiting embolic protection in the filter). Procedural success was determined as ≤30% residual stenosis with no worsening of distal runoff as determined on angiography. A total of 29 patients (age 66.2 ± 12 years; total no. of limbs = 30; total no. of lesions = 30) suitable for PTA were enrolled in the study between February 2007 and March 2008. There were 26 patients with claudication (Fontaine IIB) and 3 patients with stage IV peripheral vascular disease. In one patient, lesions in both legs were treated. No procedural or device-related complications occured. The average degree of stenosis was 86 ± 7%. Stenosis length ranged from 8 to 88 mm. The average degree of residual stenosis was 10 ± 10%. ABI improved from 0.56 ± 0.16 to 0.92 ± 0.19 (P < 0.05). No restenosis or dissection was seen at 1-month ultrasound follow-up. Macroscopic debris was found in 27 of 30 filters of all distal protection devices used in all 29 patients. Debris particle size ranged from 90 to 2000 μm (1200 ± 640). Histological debris analysis showed platelets, erythrocytes, inflammatory cells, extracellular matrix, and cholesterol as being the major components of emboli. Additional immunochemistry showed no correlation between lesion morphology and debris components. The FilterWire EZ is easy and safe to handle. The system caused no complications. In all cases, macroscopic debris was captured. Using a distal protection device during femoropopliteal interventions has the potential to prevent migration of debris, which may be important for high-risk patients with limited distal runoff. Protection devices were provided free of charge for this evaluation and sponsored by Boston Scientific Corporation. S. M.-H. has consultancy relations with Terumo, Boston Scientific, and EV3 and has had travel and accommodations expenses covered or reimbursed by Abbott Vascular, Terumo, Boston, Ev3, Invatec, Cordis, and Medtronic, as regulated in dedicated contracts. The other authors have declared that no potential conflicts of interest exist.